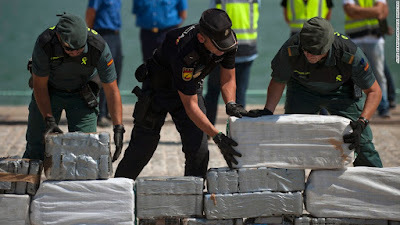 Spanish Civil Guards captured more than 900 kilos of cocaine, and detained 10 amid an operation in the port city of Algeciras. The drugs had come from South-America hidden in a cargo of fruit. 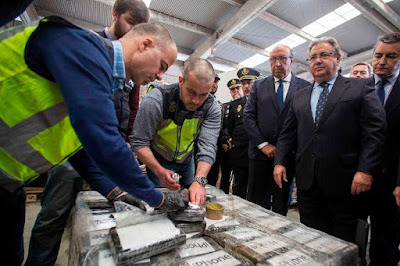 Spain made its largest cocaine bust in 18 years in December after over 5,800 kgs of the drug were discovered in a container ship travelling from Medellin. 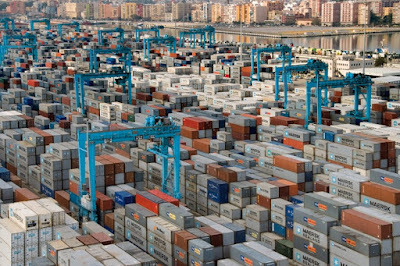 The ship also stopped in the southern port of Algeciras. Chicago’s Gang Database Full of Geezers?